These round rings are made from weldless, forged steel. 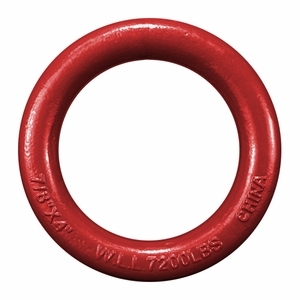 They are commonly used in many rigging scenarios, such as with ring chokers for logging. Because they are load-rated and carry a safety factor of 5:1, we can install them on slings and bridles as needed provided the Working Load Limit (clearly marked on each ring) is adhered to.